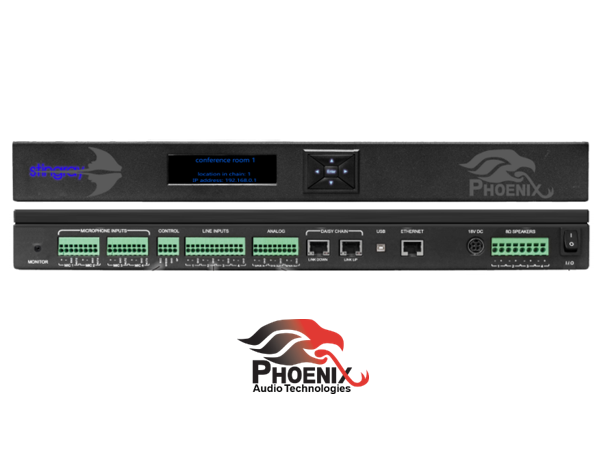 There is a reason we have become one of the top resellers for Phoenix Audio, because we test everything and discovered what works and doesn't work. 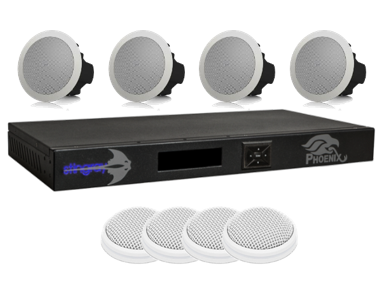 Phoenix Audio's new Stingray Smart Mixer will be the next great product and we have paired it with the best in-ceiling microphones to create the perfect video conferencing and collaboration room. Exceptional quality and value in one easy to install bundle! Our go to solution for Zoom Room Ceiling Audio! We didn't put this kit together with the hopes it works. We know it works! It has been installed in hundreds of Zoom Rooms across the country. Replacing more expensive and complicated systems daily. If people are complaining about echo with the existing audio system in your conference room or classroom. 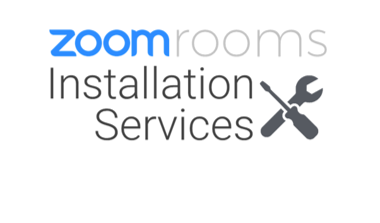 Our ceiling audio kit has been the answer to removing it (along with the complaints). Everything you need for overhead audio. Purchasing and set up should be easy. We have put everything together you need to get high performance echo free ceiling audio for applications needing USB at a fraction of the price of most other systems. The Stingray is an all-in-one smart mixer utilizing Phoenix’s proprietary distributed array technology. Each unit mixes up to four microphone inputs, performs echo canceling, noise canceling, AGC, and other algorithms required in a conferencing room setup. Each unit comes with four 15 watt speaker amplifiers, SIP, USB, and analog interface, supporting any kind of conferencing device. Bridging – Allows for 3-way communication between multiple connection sources, USB, SIP and Analog Communication. 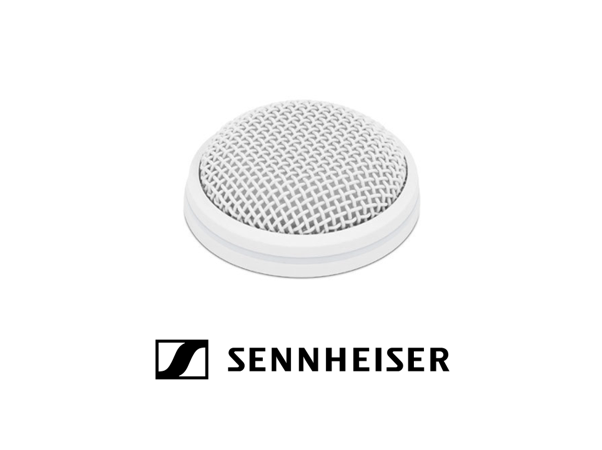 Each bundle includes four (4) Sennheiser microphones, the are compact and unobtrusively designed, the cardioid boundary layer microphone fits any style of interior. It features a proven Sennheiser microphone capsule for the best speech intelligibility, and is protected by a rugged housing. 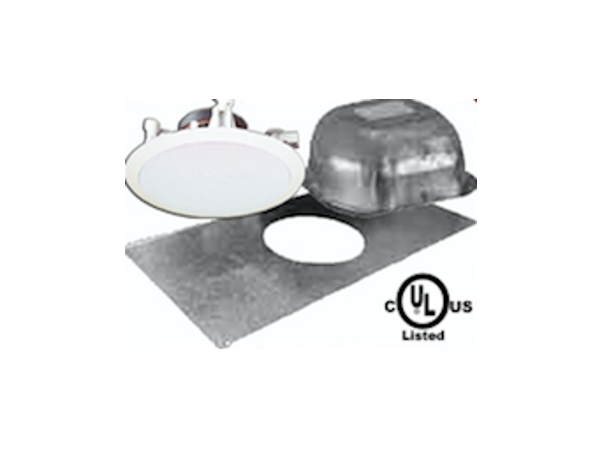 Bundle include four (4) 4" x 6" flush mounted ceiling speakers, optimized for video conferencing and voice communications. 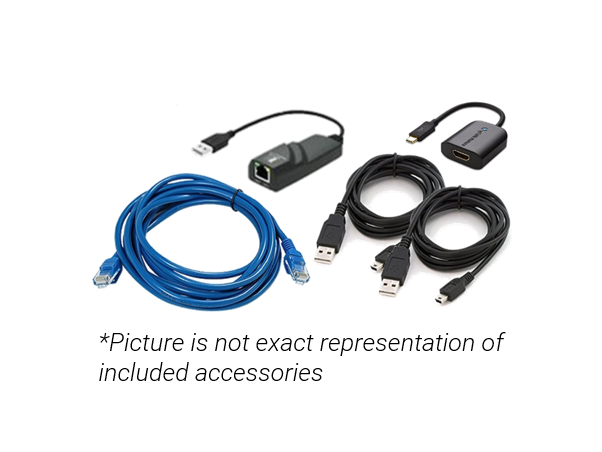 Includes all necessary cables, connectors and mounts necessary to install the complete bundle.